The Antiquity II Surf for Strat Custom Bridge pickup is wound to have extra midrange and output for a more versatility. We wind these 50% hotter for more mids, and then slightly soften the treble attack by degaussing the alnico 5 rod magnets. 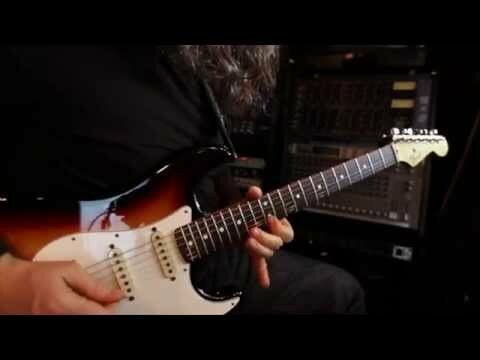 It cuts through the mix much more easily than a traditional Strat bridge pickup, while still retaining that classic Stratocaster tonal character. Solos will jump out more musically, and chords will ring with the perfect amount of midrange sparkle. Hand built in our Custom Shop, each pickup is aged to look and sound like a 1960s original. We use vintage correct blue/yellow cloth pushback lead wire, light gray bottom flatwork, and custom aged covers for just the right look. They are all lacquered and wax potted. Don't let the name fool you: the '60s Surfer™ pickup would be equally comfortable in the smoky clubs of Chicago's West Side as hanging ten at the Malibu Pier. The Antiquity II Surfer is hailed by many members of the Seymour Duncan User Group Forum as the ultimate pickup for vintage Strat® chime and quack.